A traditional stew recipe with an unexpected twist. Cut meat into 1-inch cubes. 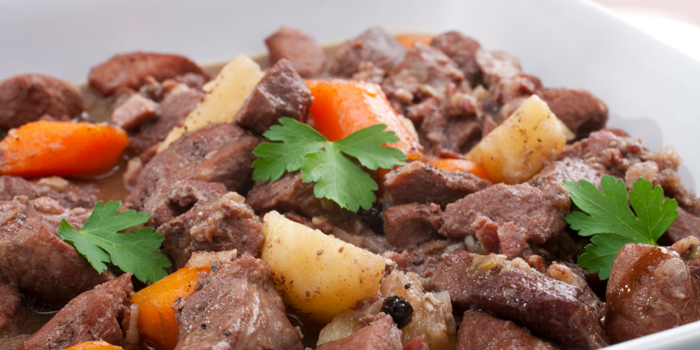 In a 4 to 6 quart slow cooker, combine meat, potatoes, carrots, onions, apple, celery, and tapioca. Stir in apple cider, salt, caraway seeds, and pepper. Cover, and cook on low heat setting for 10 to 12 hours, or on high heat setting for 5 to 6 hours.